Hard to believe that another year has passed by in the world, we’ve had to deal with the dim witted, racist bigot being in control of America, the likes of Brexit actually happening due to our overtly stupid nation and to top it off the rise in plastic consumption has seen dire consequences to the oceans according to David Attenborough on Blue Planet. However, we’ve always got the light at the proverbial end of the tunnel, our champion of champions, Metal. With all things considered Metal has had an absolutely incredible year. Right from the word go the releases have been strong from kickstarting the year with Black Anvil, Kreator and Pain of Salvation along with the wild card that was Suicide Silence. Moving into Spring where we saw the return of Mastodon and Darkest Hour, leading to summer with saw Carach Angren, Sikth and Anathema wow the world. Don’t even get me started on the absolutely stellar releases of Autumn, though I could gush about The Black Dahlia Murder until the cows came home. However it has been a particularly good year for Death Metal. With much of the gate keepers of the genre returning to the vanguard of its bloody roots, you could argue its the strongest year in a long time! Releases by Broken Hope, Dying Fetus, Cannibal Corpse, Obituary as of today, Morbid Angel. That is one hell of a list. So join me as I have painstakingly tried to narrow things down this year to 20 of the absolute cream of the Progressive / Black / Death / Heavy / Doom crop. Spread over four weeks each Friday will see the release of another 5 right up until Christmas. Lets get retrospective! 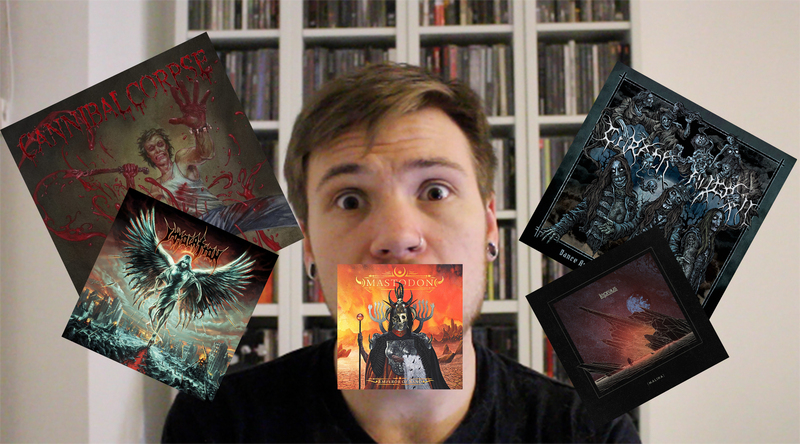 You can pick up all of these releases as a great Christmas present right now! Links are all in my YouTube video, please don’t forget to subscribe if you dig my choices and see you next week for 6- 10!